Intermarine, LLC, a specialist in the transport of project, breakbulk and heavylift cargo, and its affiliates, Industrial Maritime Carriers, LLC (IMC), and affiliate Industrial Terminals, Management, LLC, have transferred the leasehold ownership of their terminal assets to Watco Companies, LLC. The parties have entered into a long-term agreement for continued and future use of the Industrial Terminals facility. 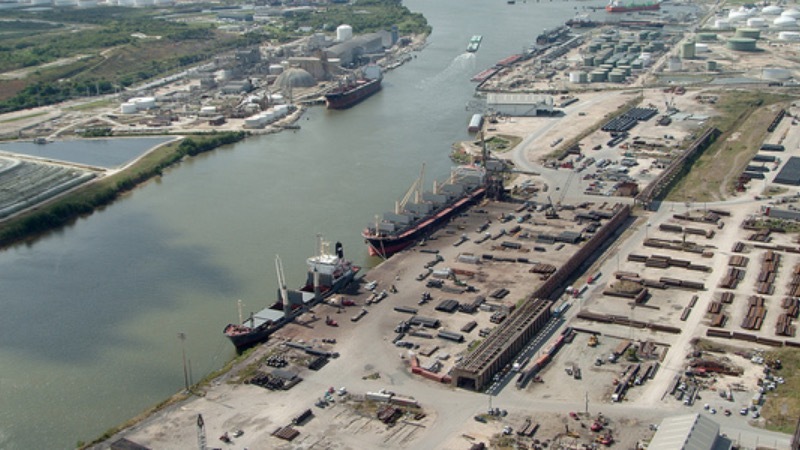 Industrial Terminals is directly adjacent to Watco’s Greens Port terminal on the Houston Ship Channel. Concurrently, Intermarine has entered into a long-term agreement with Watco for the provision of stevedoring and terminal services. Intermarine staff will remain located at Industrial Terminals. Combined, the two properties are comprised of 746 acres, seven berths and more than 5,000 feet of dock space. “We are very excited to add the Industrial Terminals assets to the Greens Port Industrial Park and enter into a long term agreement with IMC. The combined assets will allow us to expand the service offerings and provide unparalleled service to IMC and its customers. We are looking forward to expanding the partnership with IMC and growing this business,” said Bill Kinzeler, Vice President of Network Strategy for Watco Terminal and Port Services. Europe, Asia, and the Middle East, plus inducement voyages to Australia and other international ports. The company operates the largest US-flag heavylift fleet and controls Industrial Terminals (Houston), the busiest project cargo terminal in the United States. Watco Companies, LLC, is a Pittsburg, Kansas, based transportation company providing transportation, terminal and port, mechanical, and supply chain services for Customers throughout North America and Australia. Watco Companies, LLC is the owner of Watco Transportation Services, LLC, one of the largest short line railroad holding companies in the US with 36 US short line railroads and 34 industrial contract switching locations. Watco’s Terminal and Port Services division operates 87 locations throughout the U.S. Watco Companies is a 50/50 joint venture partner with The Greenbrier Companies, Inc., in GBW Railcar Services, LLC. GBW repairs and refurbishes freight cars at 31 locations across North America. Watco’s Supply Chain Services provides supply chain solutions globally.